(Online Interactions Not Rated by the ESRB) The Games on Demand version supports English and is compatible with [EN] content packs. 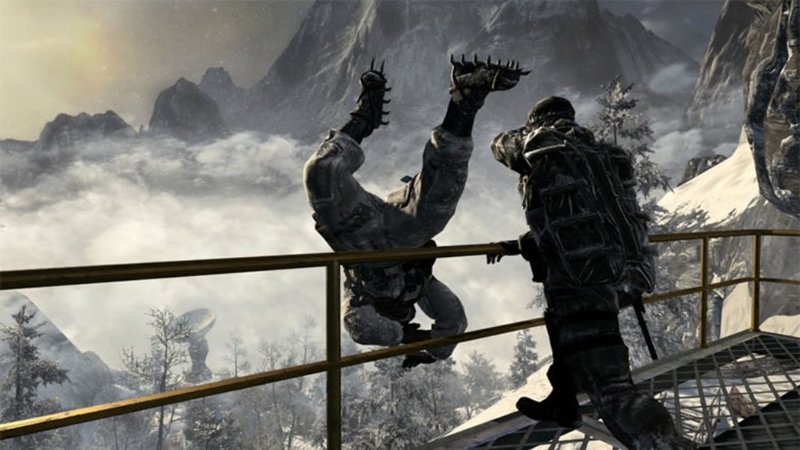 Call of Duty®: Black Ops takes you deep behind enemy lines into the world of deniable operations as a member of an elite special forces unit engaging in covert warfare, classified operations, and explosive conflicts across the globe. With access to a variety of exclusive weaponry and equipment, your actions will tip the balance during the most dangerous time period mankind has ever known. 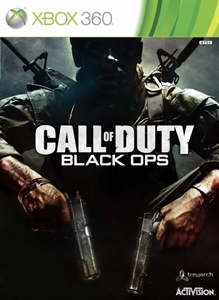 Black Ops features: - An epic campaign and story that keeps you glued to edge of your seat from start to finish. 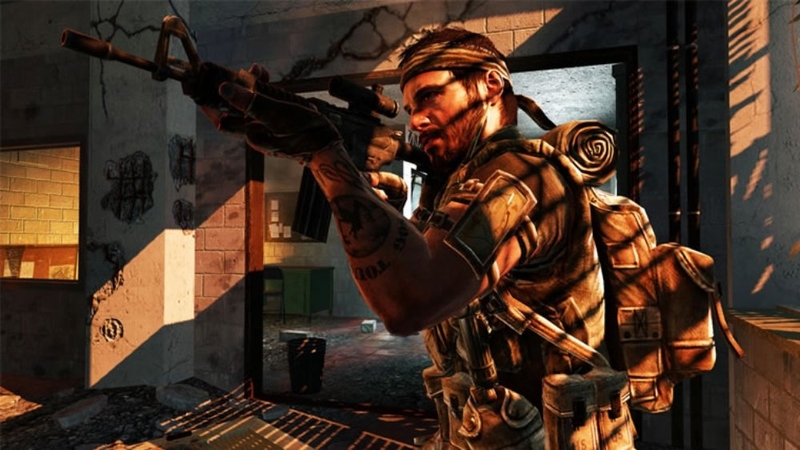 - Call of Duty's signature Multiplayer gameplay with deeper levels of character customization, and all new modes like Wager Matches, the Theater, and Combat Training which can be played Solo or Co Op. - Zombies! Providing endless hours of intense Zombie-slaying entertainment, Solo or Co-Op. "Shangri-La," a legendary shrine lost in an exotic jungle, where new undead species lurk within a treacherous labyrinth of underground caverns. Includes 4 backgrounds. NOTE: For use only with the English version of Black Ops. Lift off into the latest Zombies epic with "Rezurrection," the new content pack for "Call of Duty: Black Ops," and the first to launch players into space! Old school Zombies strategies get blown out of the airlock in "Moon," where armed with new perks and a space-age arsenal of weapons, our heroes must overcome undead astronauts and fluctuating gravity as they unearth conspiracies that began in 1943. Rounding out Rezurrection are the 4 maps that spawned the Zombie phenomenon: "Nacht der Untoten," "Verrückt," "Shi No Numa" and "Der Riese." NOTE: For use only with the English version of Black Ops. Obliterate the competition with 4 unique Multiplayer Maps and a wild new locale for the latest in Zombies action. Jump into battle with "Hangar 18," located in the classified military base of Area 51; "Drive-In," close quarters combat through a 60's American Drive-In theater; "Silo," a secret Soviet nuclear missile site in this multilevel battleground; and "Hazard", a coastal golf course on the cliff sides of Cuba. Zombies are back in "Shangri-La," a legendary shrine lost in an exotic jungle. A look at the all-new Zombie map of Annihilation, Shangri-La Zombies are back in "Shangri-La," a legendary shrine lost in an exotic jungle. Join Burger Man for a look at the all-new maps of Annihilation in this Multiplayer trailer. Obliterate the competition with 4 unique Multiplayer Maps and a wild new locale for the latest in Zombies action. 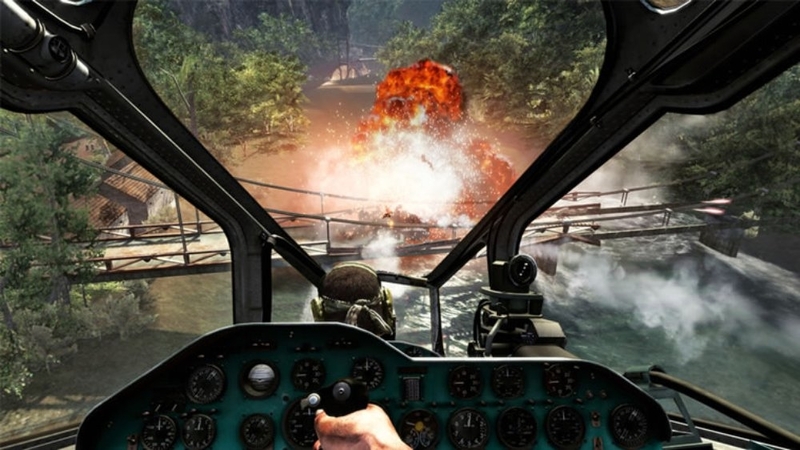 Jump into battle with “Hangar 18,” located in the classified military base of Area 51; “Drive-In,” close quarters combat through a 60's American Drive-In theater; “Silo,” a secret Soviet nuclear missile site in this multilevel battleground; and "Hazard", a coastal golf course on the cliff sides of Cuba. Zombies are back in "Shangri-La," a legendary shrine lost in an exotic jungle. Get a first look at the all-new maps of Annihilation in this Multiplayer Preview video. Obliterate the competition with 4 unique Multiplayer Maps and a wild new locale for the latest in Zombies action. 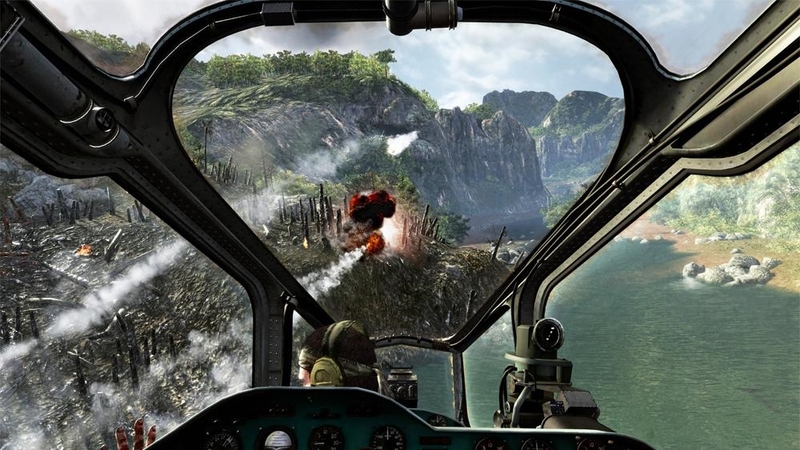 Jump into battle with “Hangar 18,” located in the classified military base of Area 51; “Drive-In,” close quarters combat through a 60's American Drive-In theater; “Silo,” a secret Soviet nuclear missile site in this multilevel battleground; and "Hazard", a coastal golf course on the cliff sides of Cuba. Zombies are back in "Shangri-La," a legendary shrine lost in an exotic jungle. NOTE: For use only with the English version of Black Ops. Escalation contains 5 all-new maps; featuring 4 Multiplayer maps and an epic, star-studded Zombies experience with new playable characters. Battle it out in "Hotel" on the roof of a luxury hotel & casino in old Havana; "Convoy" delivers close-quarters combat near an ambushed US military convoy; "Zoo" takes you on a wild ride in an abandoned Soviet Russian Zoo; "Stockpile" is set in a Russian farm town housing secret WMDs. 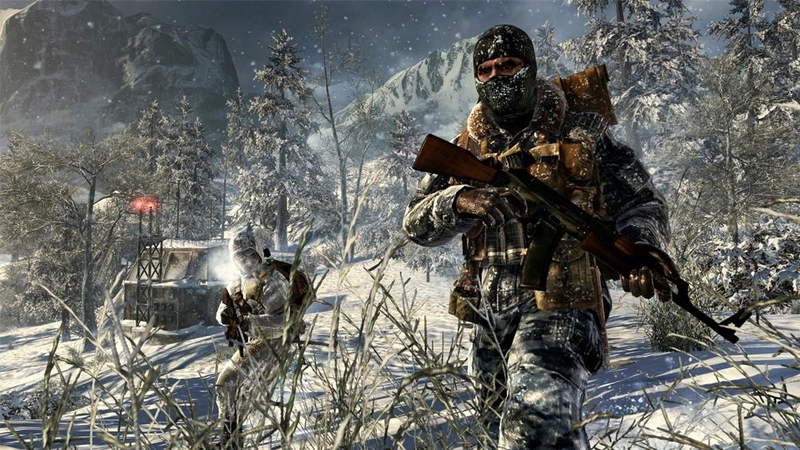 For Zombies fans, "Call of the Dead" features a cast of iconic horror film stars battling zombies on a Siberian island. "Escalation", the second Call of Duty: Black Ops map pack, contains 5 all-new exceptionally varied maps; featuring 4 Multiplayer maps and an epic Black Ops Zombies experience with all-new playable characters. Call of the Dead is coming! Will you survive? 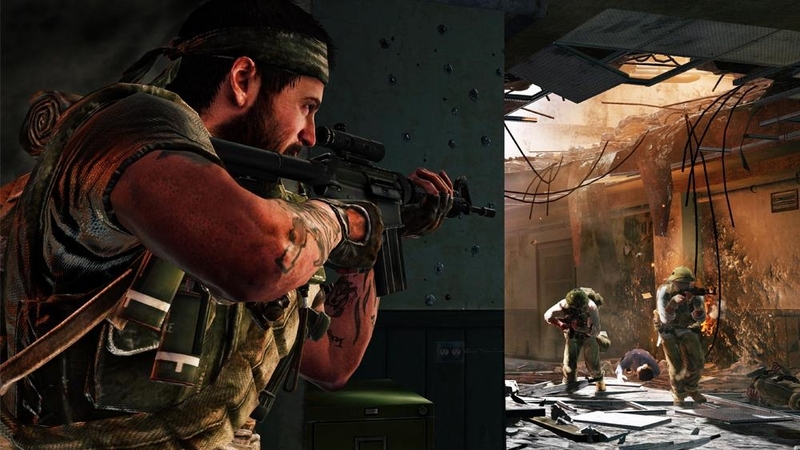 On May 3rd, download "Escalation", the second Call of Duty: Black Ops map pack, to play as the zombie-killing dream-team of Sarah Michelle Gellar, Robert Englund, Michael Rooker, and Danny Trejo against a new and unnerving zombie menace. 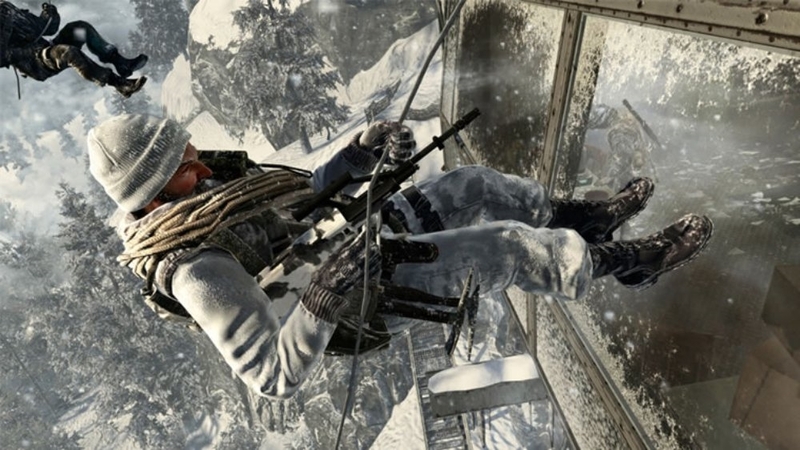 Set in a mysterious, ice-covered, remote Siberian island and inspired by legendary writer and director George A. Romero, a group of four fearless explorers fight for their lives amidst an army of bloodthirsty Soviet zombies. 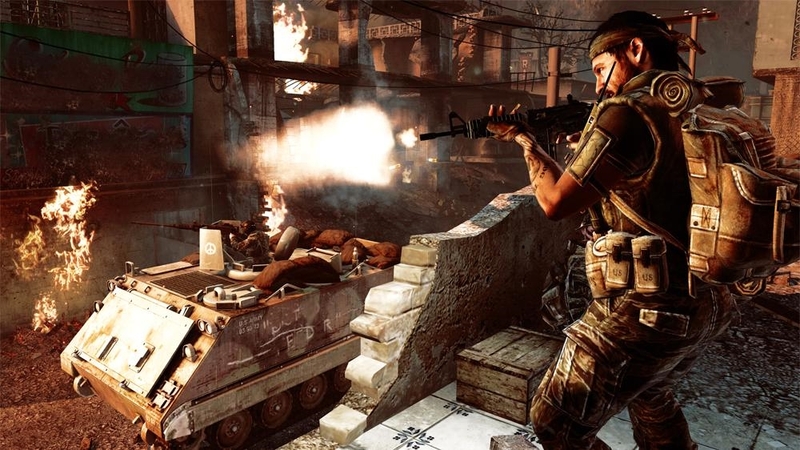 Get a first look at the all-new maps of Escalation in this multiplayer preview video. The developers at Treyarch give a behind-the-scenes look at Zoo, Hotel, Convoy, and Stockpile. 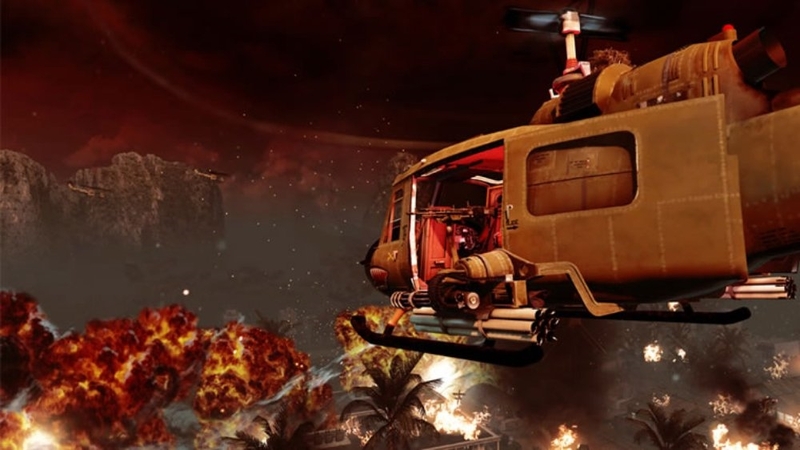 "Escalation", the second downloadable content pack for Call of Duty: Black Ops, contains 5 all-new exceptionally varied maps; featuring 4 Multiplayer maps and an epic Zombies experience with all-new playable characters. Protect yourself against the hazards of high altitude supersonic flight. NOTE: For use only with the English version of Black Ops. First Strike contains 5 all-new maps including "Berlin Wall," the Arctic "Discovery," Hong Kong's "Kowloon," the sports complex "Stadium," and the new Zombies level "Ascension." Show off your Zombie love by wearing the Cosmic Silverback costume from Dead Ops Arcade! 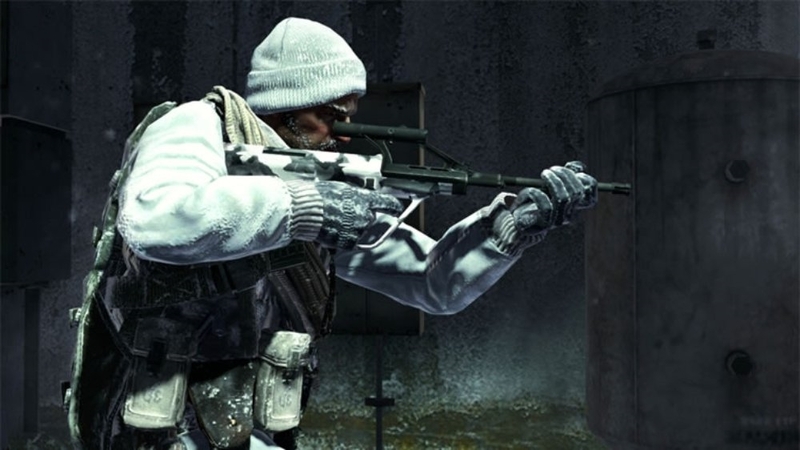 Go behind enemy lines in the outfit worn by Woods. 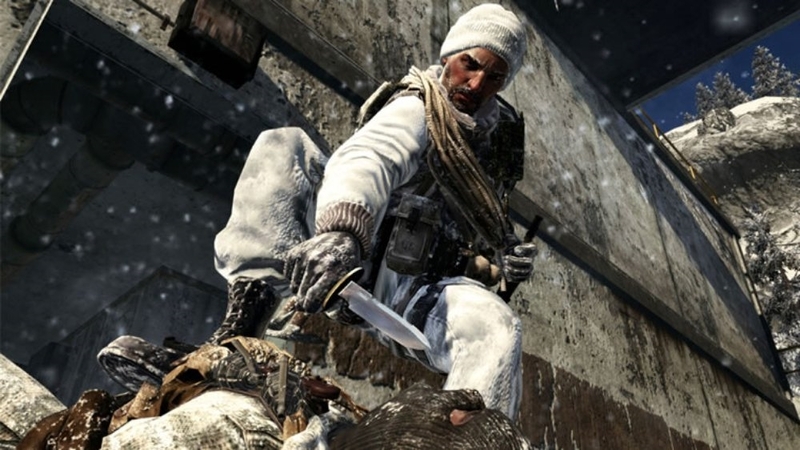 Experience the Iconic Concept Art from Call of Duty: Black Ops. Includes 5 backgrounds. Traverse Cuba, the Soviet Union, Kowloon, and Vietnam with this global Premium Theme. Features 7 backgrounds. Immerse yourself in the zombies and weapons from the First Strike Zombie map "Ascension". Includes 5 backgrounds. First Strike Pack 1 contains 5 incredibly diverse maps spanning the globe; featuring 4 multiplayer maps and a new Zombie experience. 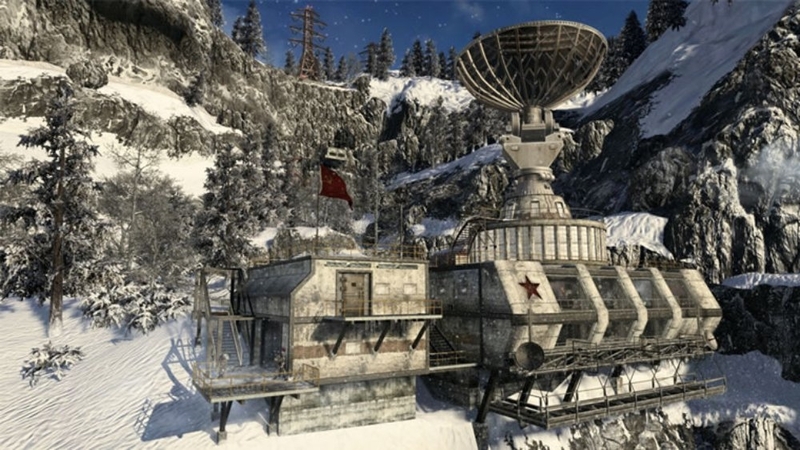 Includes “Berlin Wall”, allowing combat on both sides of the imposing wall; “Discovery”, a desolate, frozen German outpost in the Arctic; “Kowloon”, battle in the rain along the rooftops of a towering Chinese sprawl; “Stadium”, an intense locale with a pro hockey arena backdrop; and “Ascension”, where you fight zombies in a Soviet launch facility. Features numerous Zombie icons as well as JuggerNog, Speed Cola, and Revive! 10 icons included. 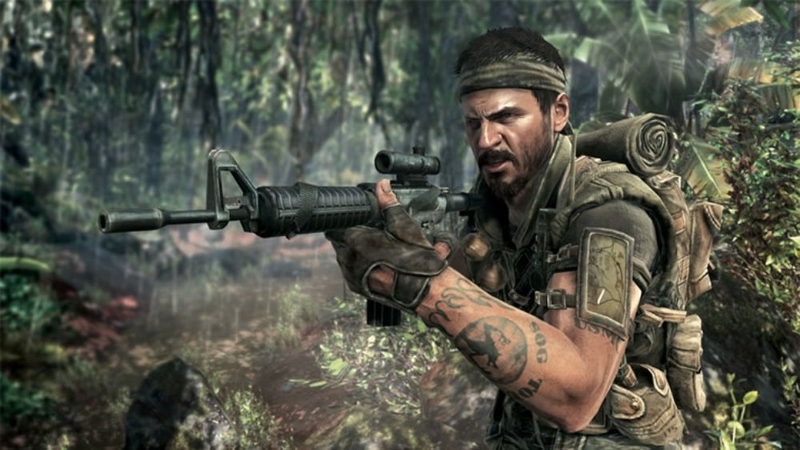 Featuring iconic concept art for Call of Duty: Black Ops. 10 images included.